It is well-established that Russia has abused Interpol as a tool to persecute abroad the political opponents of the ruling Russian regime who have been forced to emigrate. 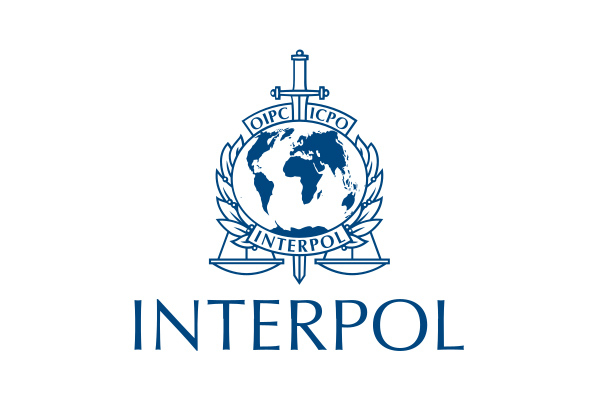 Such an influential organization as Interpol cannot be led by a representative and functionary of an unfree nation that violates the rights and freedoms of its own citizens, violates its international obligations, annexes the territories of other states, and is currently the protagonist of several wars of aggression. Would Interpol target these people on Russian request? It is difficult to imagine otherwise should a Russian official becomes the head of Interpol. The candidate for the post of the head of Interpol also raises questions. Alexander Prokopchuk is a major general of the Russian police, an organization known for its corruption and persecution of representatives of the Russian opposition. On November 21, the election of a new President of Interpol will take place. The leading candidate for this post is the representative of the Russian Federation, Major General of the Russian Police Alexander Prokopchuk. The Standing Committee of the Free Russia Forum expresses its categorical protest against the election of this candidate to the post of head of Interpol. Such an influential organization as Interpol cannot be led by a representative and functionary of an unfree nation that violates the rights and freedoms of its own citizens, violates its international obligations, annexes the territories of other states, and is currently the protagonist of several wars of aggression. It is well-established that Russia has abused Interpol as a tool to persecute abroad the political opponents of the ruling Russian regime who have been forced to emigrate. Critics and other targets of the Putin regime residing outside of Russia have repeatedly been victimized by Interpol mechanisms such as Red Notices and "diffusion" notices, as a result of which they were detained and put through lengthy legal procedures before they managed to convince Interpol of the political nature of their persecution — often requiring political intervention on their behalf. A few examples: members of the Standing Committee of the Free Russia Forum Leonid Nevzlin and Ilya Ponomarev, founder and CEO of the Hermitage Capital Management investment fund William Browder, employee of the Anti-Corruption Foundation Nikita Kulachenkov, anti-fascist Peter Silaev, Voina activist Oleg Vorotnikov, Izhevsk journalist and activist Andrei Nekrasov, Ulyanovsk blogger Sergey Kryukov, former head of the Tutaevsky municipal district of the Yaroslavl region Jan Andreev. This list could be continued. The election of the official representative of the Russian Federation to the leading position of Interpol will reinforce the negative trends in the work of the international police. In the hands of an operative of the Russian police, Interpol can become a dangerous weapon in the Kremlin's deadly campaign against representatives of the Russian opposition abroad and other opponents of Putin's regime outside of Russia. The candidate for the post of the head of Interpol also raises questions. Alexander Prokopchuk is a major general of the Russian police, an organization known for its corruption and persecution of representatives of the Russian opposition. Prokopchuk is directly subordinate to President Vladimir Putin and, of course, is an obedient tool in his hands. In addition, over the past few years, Prokopchuk headed the Russian National Interpol Bureau. It was during his tenure at this post that cases of unlawful use of Interpol mechanisms for targeting opponents of the Putin regime outside Russia became more frequent. There is no doubt that should he become the head of Interpol, this Russian official will only intensify the persecution of opponents of the Russian authorities. The Russian Federation is not a democratic, legal state. There is no independent judiciary, no concept of fair application of justice. A dictatorial regime has been formed inside Russia and is pursuing its opponents both inside the country and abroad. Political repression, the murder of political opponents, the use of chemical weapons on the territory of other states, interference in the internal political processes in Western countries and other hybrid operations are just a few of the illicit methods used by the Putin regime against its enemies. To entrust a representative of this regime with such an important function as the leadership of the international police is absolutely intolerable. The Standing Committee of the Free Russia Forum appeals to the members of the General Assembly of Interpol to abandon any support for the representative of Russia for the post of head of Interpol. Related Topics: Russia receive the latest by email: subscribe to the free gatestone institute mailing list. Free nations need to form their own governing associations, separate and apart from the dictatorships. Countries can choose for themselves which side they want to be on. As for Russia, rulers stayed in power throughout its history, because they knew the population contained a sizable plurality comfortable with despotism; anyone who isn't can leave or be crushed. We have not heard anything from the US Democrats or DNC regarding this activity which one would think would have been a top priority for them? Neither Russia or China, nor any country ruled by a dictator, should be a part of Interpol! What has happened to common sense? Some semblance of sanity has prevailed and the South Korean candidate has been given the top post within Interpol. But, unfortunately, the Russian is the second in command so will inevitably still be in a position to abuse the office. What a weird world in which we live. The next appointment will be for a Muslim to be appointed, head of the church of England!!! Nothing surprises me in these days of silly political panderings!!! Kasparov is correct. His arguments against a Russian Interpol leader, unfortunately, apply equally to the Chinese Interpol leader that preceded hem; the one who "disappeared" by the hands of his own government. Unfortunately, it also applies to other countries, including West European democracies, which have used Interpol to further political agendas. Even in the US, there are many who, given the position of authority, would have our own elected president treated as a criminal and arrested. Interpol has been a useful vehicle for implementing the rule of law, among countries who respect the rule of law. When it is expected to exercise its authority outside those bounds, it becomes useless.